Rumoured Liverpool managerial target Frank Rijkaard is determined to force through a move to the Premier League after he was sacked by Galatasaray, according to skysports.com. 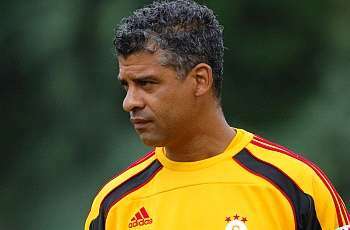 Rijkaard, 48, was dumped by the Turkish giants this week after an unhappy 16-month spell. The Dutchman's reputation remains strong, however, following his Champions League and La Liga winning period with Barcelona. Rijkaard has been linked with a return to former club Ajax, but his advisers are understood to have been instructed to find a post in England. With Roy Hodgson coming under increasing pressure after a disastrous start to the season, Anfield could well be his next destination. mcm mane nak minat bola? pakwe aku kat ump tu suke tgk bola kat kafe. ape yg menarik den pon tak tau! hahha.. dah top ke skrang..? ekeke.. takpe mario.. yang penting kena setia..